We offer a private lot and ample free street parking. Tri-met bus line 15 stops at our front door. Nostrana—literally 'ours' —invokes local. Simple food from honest ingredients. Pure. Regional. Italian. 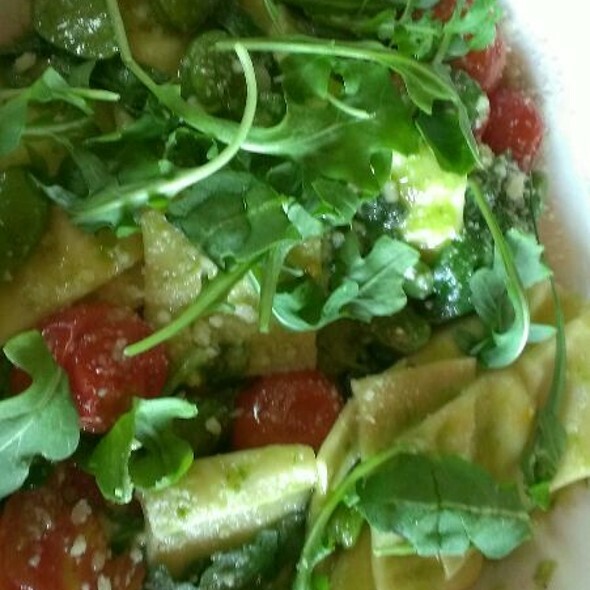 Opened in 2005, Nostrana is Chef/Owner Cathy Whims' love letter to Italy. This is a restaurant built on relationships: with our amazing farmers and purveyors, our dedicated staff, and of course with you, our guest. We hope to offer something timeless and authentic in a beautiful space, the regional specialties of Italy deeply rooted in the Pacific Northwest. We strive to be better every day. Étienne Cider, Rack & Cloth Mosier, OR, Winesap Apple. Love their house made limoncello and pasta! Very good food, fair prices, and other than a slight snafu with one of the courses... it was very enjoyable! I did however, have major trouble with my drink. I ordered a Cpt Morgan & coke w/lime... what was brought me was a whiskey/coke, then (after I complained) was told "they were out of Cpt Morgan". I then ordered a Meyer's & coke... and what was brought tasted just like the original whiskey... only watered down! A total bust on the drink! This if fine-dining, epicurean-level cuisine made by true chefs! 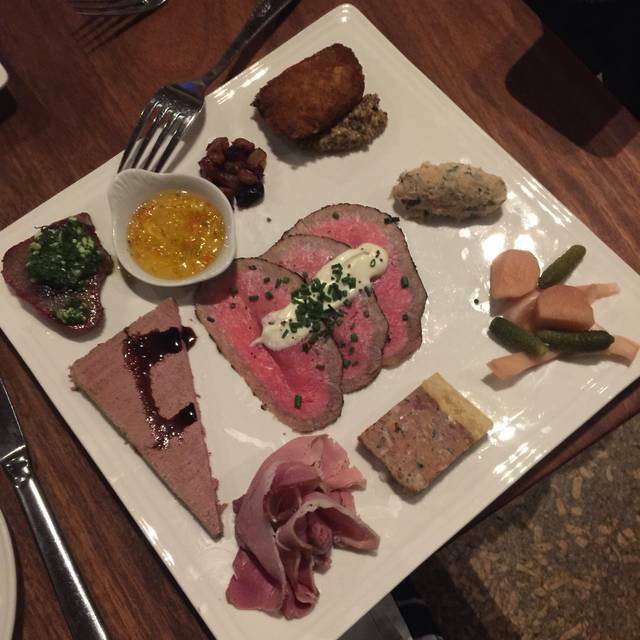 Nostrana has quickly become our favorite date night spot. It feels special and the staff keeps that feeling going. 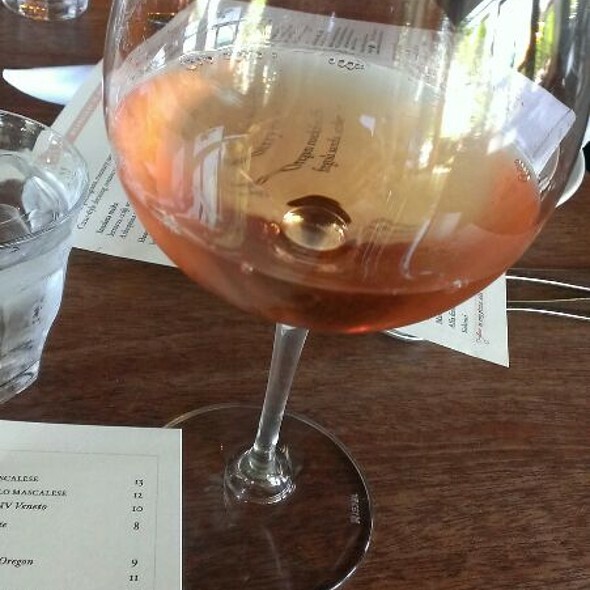 We know nothing about wine and the sommelier was very kind and helpful in choosing a glass. The food is excellent...my only complaint is I wish there were more vegan options. But I'm grateful they have any! We will definitely be back! Truly an amazing experience. From the pizza to the chocolate budino, to everything in between, we were blown away. We will return! The food was aaamazing and the service was great too! The pizza was just right like in Italy, We will be back!! 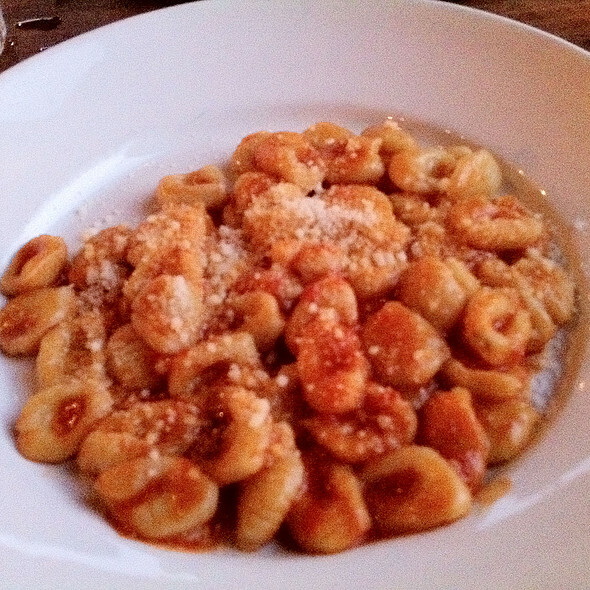 We really like Nostrana and Gnocchi Thursday! Excellent food and service. 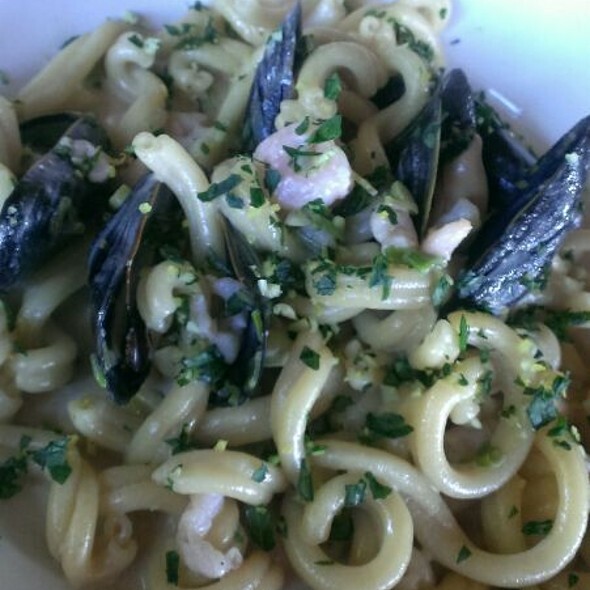 Great selection of pastas, seafood, lamb, steak, and traditional Italian food. The pizzas are superb and highly recommended. The desserts are excellent and delicious. Only complaint is the noise level. If you intend to have a conversation with a business partner or have a meeting there, dinner service can be quite loud. Other than that, would recommend this to diners. Beautifully written menu paired with knowledgeable staff. I dined alone at the counter and was able to make my way through 5 dishes (+ 2 to go) and 1 cocktail and 2 glasses of wine. Had to get dessert to go because my stomach had no room but the cheesecake and flourless chocolate cake traveled well. My server was great and everyone who brought over food or cleared the counter was kind. Planning another trip to Portland to eat here again. Delicious! Every course was perfect! Pasta melted in my mouth, light & flavorful. 66 th Birthday! Wonderful meal with my wife and son. Enjoyed everything. Very knowledgeable service especially regarding wine. Wine list interesting and well matched to food, reserve wine list exceptional. Food spot on. We look forward to returning and have told friends it’s worth the effort to book. 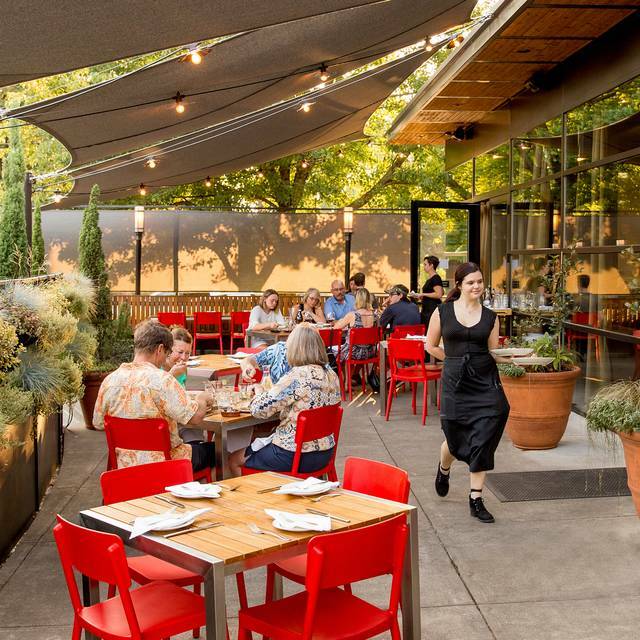 We don’t live in Portland and always look for new dining experiences when traveling thru city. This restaurant is on our list now. I would go again with friends, but not with a friend with hearing issues. Our waitress was great but the people coming by to clear the table were over-aggressive and made us feel unwelcome. 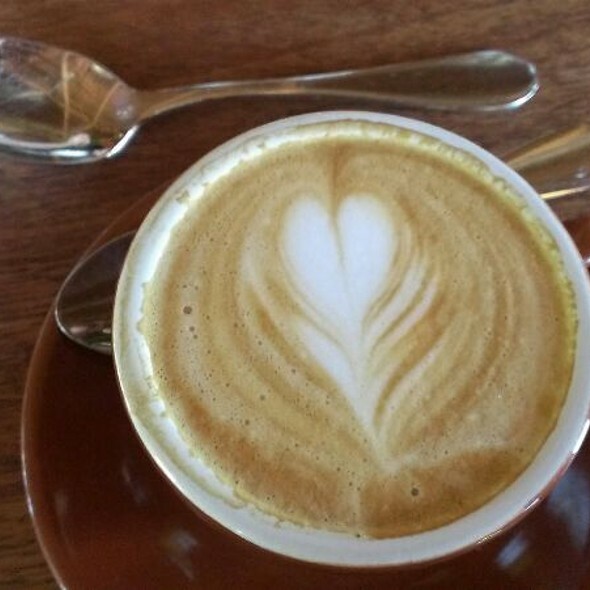 Nostrana is a splurge for me and I did not like feeling as though I had to hustle along. 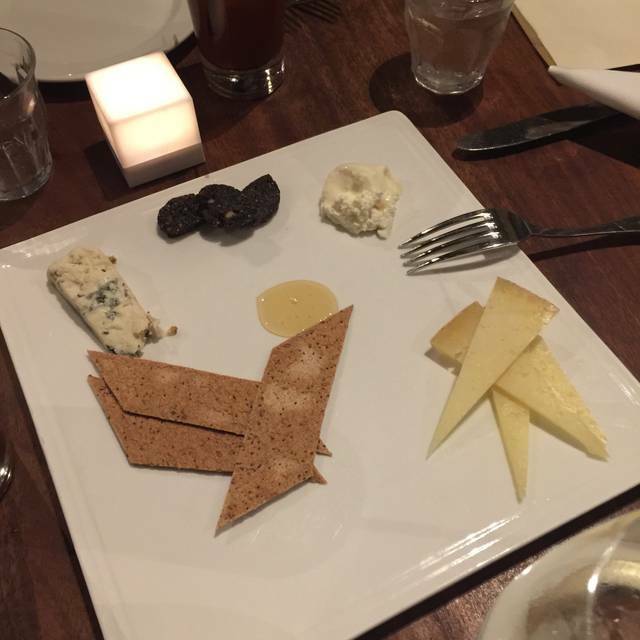 We loved sharing the cheese plate, our pasta, and the rhubarb apple crisp — made to share, so definitely don’t miss it! My favorite pasta was the goat cheese stuffed pappardelle. Pizza's are so good. Service & Staff are wonderful. Great place. My husband and I dined at Nostrana last Sunday. We made the reservations at the last minute, so chose the bar seating. What a great idea! We had a wonderful conversation with our bartender, Daniele, as well as eating some great food. When I couldn't decide on which white wine to get, I was given tastes of both of them, what wonderful service. I had the Paglia e fieno (straw and hay), which included Dungeness crab and was delicious. Even at 5 pm, when the restaurant opened for the evening, I noticed that all the tables in the room were occupied, as were the seats at the bar. I enjoyed the vibe of the place and the next time we are in Portland, we will certainly return for another meal! Thanks for the great service and yummy meal. Food was amazing. Drinks were great. Late night happy hour was the best time! Nice little gem. Beautiful ambiance with a modern Italian flair. First and second courses very moderately priced. Tagliata was to die for and melted in your mouth like butter. I sat at the counter and had an enjoyable experience savoring my meal, chatting with the bartender in his free, sparing moments, and getting a view of the whole room. Worth making a reservation for! Amazing meal and much appreciated guidance from our outstanding server. Our server, April, was amazing. Wonderful night with grandma. Love this place. The staff has gotten even friendlier; warm, charming, helpful and attentive. First time to Nostrana to have dinner before a show at Revolution Hall. We were so pleased to find Nostrana! Beautiful decor, friendly staff and excellent food. It will certainly be a place we come back to many times. So glad we discovered it! We ordered a lot. Everything was great except the chicken on the Smoky Rotisserie Chicken dish was very dry. Other than that overnight pork was great, the pizzas were delicious, meatballs were great. Insalta Nostrana was good. Cheesecake was also a hit. Everything was wonderful - great food, service, wine. Perfect way to celebrate a 30th birthday!! Always good, Cathy’s lovely restaurant only gets better! The food here is always good, but tonight it was amazing. Felt like we were in Firenze sitting outside and enjoying the Italian ambiance. Ahhhhh. April was our server and she was amazing also. Warm inviting atmosphere. Kids enjoyed cutting up their own pizzas. Nostrana salad and the capellini with clams were delicious. Will try to come back the next time we're in town! I love this place! It’s always delicious food and good service. The only issue I had this time was a large group behind me with multiple bottles of wine on the table who became very boisterous to the point I had to scream to talk with my friend across the table and turn my head to the side just to hear her. That’s something beyond the restaurants control, but the only issue I’ve had there. Took my teenagers for birthday celebration, I was not disappointed. We all loved our dishes and I enjoy my wine. It was divine. Consistently our favorite restaurant in Portland. From the beautiful space to the polished professional service, we’ve never had a bad experience here. 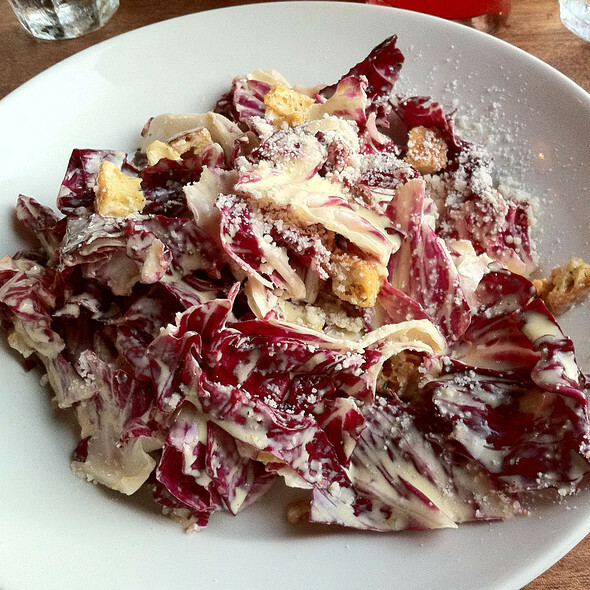 I always have the radicchio salad which is my favorite salad anywhere, and last night I had their pizza for the first time. The salumi pizza was one of the best pizzas I’ve had anywhere in the world. Truly memorable pizza. The service was almost too good! Enjoyed a nice Anniversary dinner and the staff was very attentive and accommodating. This is one of my favorite restaurants! It never disappoints. We live in Atlanta, GA and come to Portland once a year to visit with family. This is our second visit to Nostrana and look forward to our third visit! Our table was waiting for us at the reserved time. Hostess had a caller on the phone which she immediately put on hold to serve us and seat us. Great menu....great service. My wife and I both noticed how the staff worked silently among themselves and did not need prompting from others in what to do next. It was like watching a choreographed dance. Fantastic!